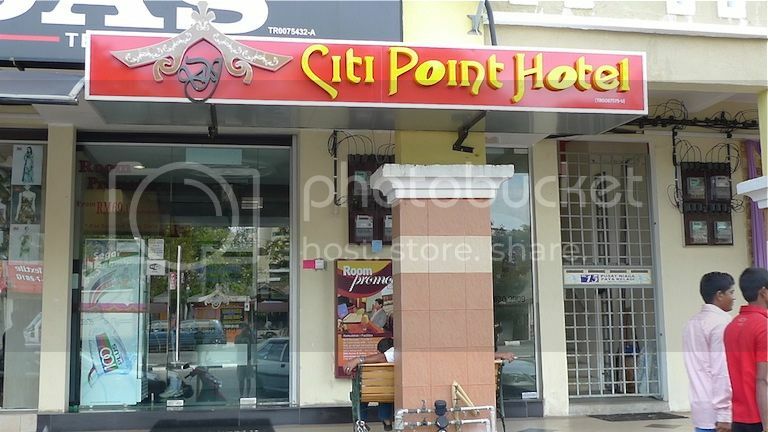 After spending 3 days 2 nights in Redang Island, Jam, his friend and I returned to the mainland where we took a bus to DJ Citi Point Hotel in Kuala Terengganu. We stayed in this hotel for one night before flying back to KL the next day. I wasn't too happy with this hotel. For one, there was no lift - we had to carry our luggage up to the second floor using the staircase! OK, this I could still tolerate. What I could not tolerate was our room's air conditioner which was not working. They could not get it fixed immediately so we ended up staying in a hot, stuffy and sweaty room that night! I think they offered us another room but I could not remember why we did not take up that offer. Anyway, it's just for one night so I would not want to rant about it too much. 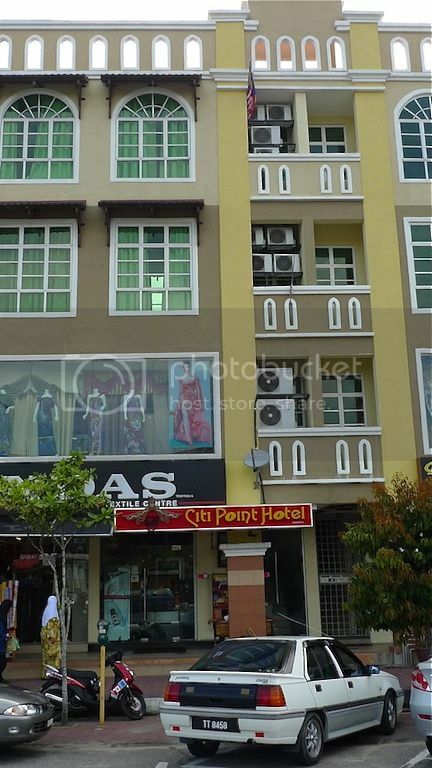 Other than that, the hotel was pretty clean, but its best selling point was its strategic location which was within walking distance to the Central Market (Pasar Payang) and Chinatown (Jalan Kampung Cina). So what did we do after checking into the hotel? We went out and explored the area of course! First we went to Pasar Payang, but I did not buy anything. Oh wait! I think we bought something to eat but I could not remember what! But I did not take any photos, sorry about that! Then we went to Chinatown, which was actually a long stretch of road called Jalan Kampung Cina. While walking along the Chinatown road, we came across a lane in between a row of shophouses called Lorong Kenangan Payang (Payang Memory Lane). 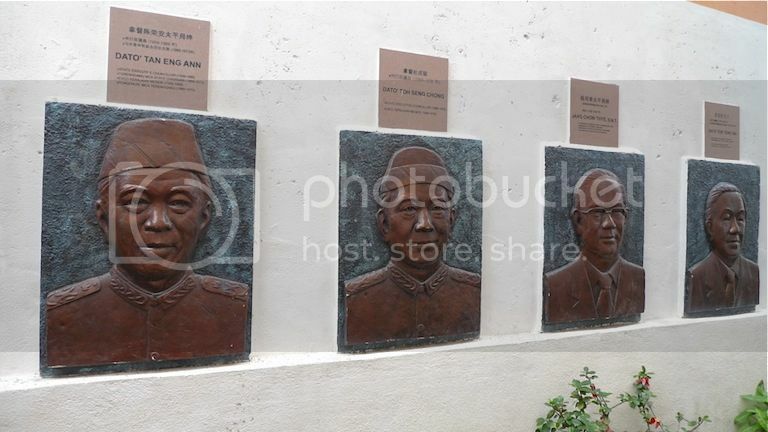 At this lane, we could find portraits of Malaysian Chinese leaders who had served with the Malaysian Government from 1959 till the present. 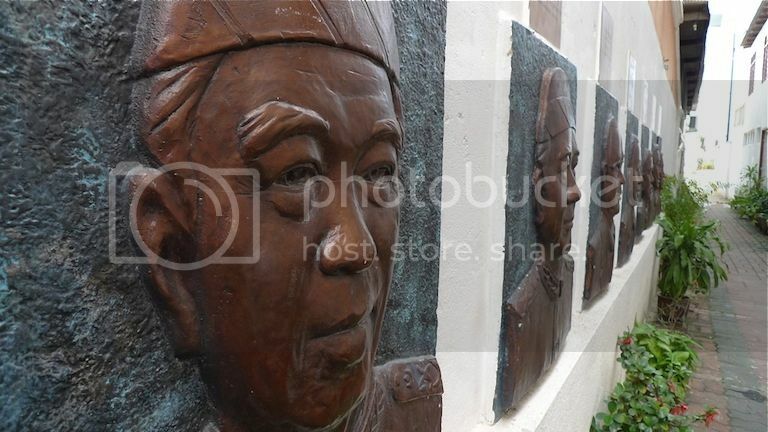 I am not very familiar with these leaders but I guess the people in Kuala Terengganu would know who they are. After walking for some time, we started to get hungry so we stopped by Madam Bee's Kitchen for lunch. 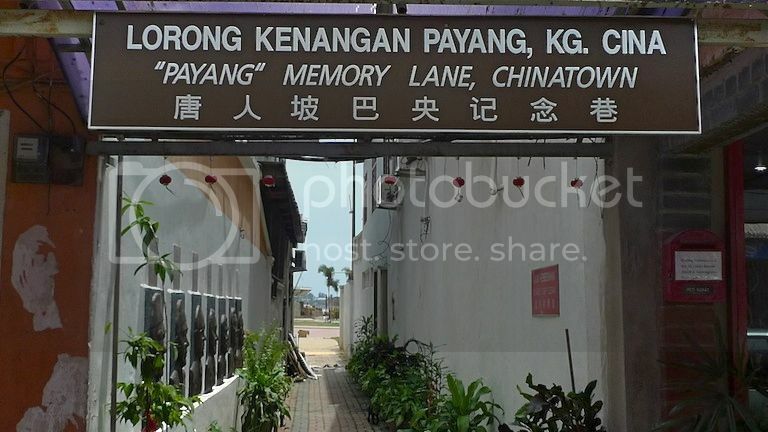 Unbeknownst to us at that time, this is actually a very famous restaurant in Kuala Terengganu. 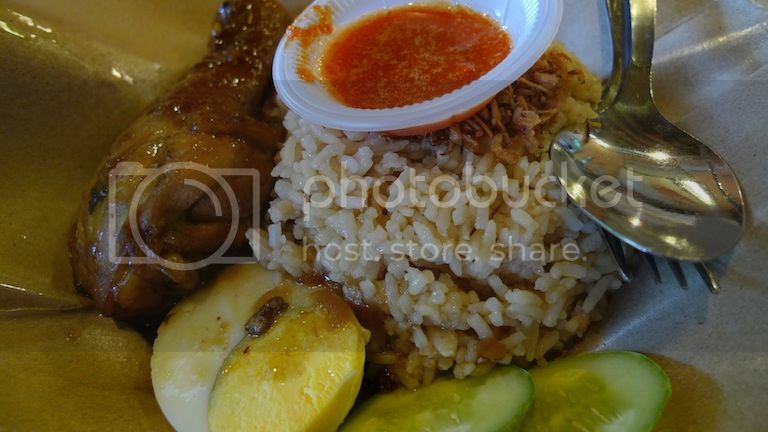 In fact, it was ranked #1 out of 19 restaurants in Kuala Terengganu according to TripAdvisor. 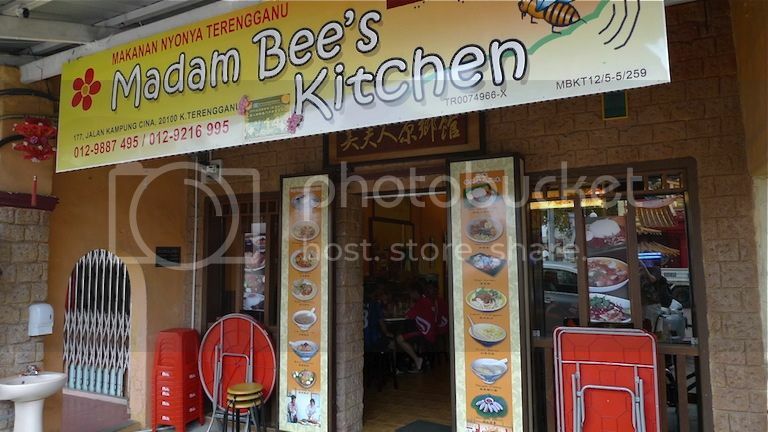 Located at 117, Jalan Kampung Cina, Madam's Bee Kitchen is a peranakan restaurant that serves authentic nyonya cuisine. 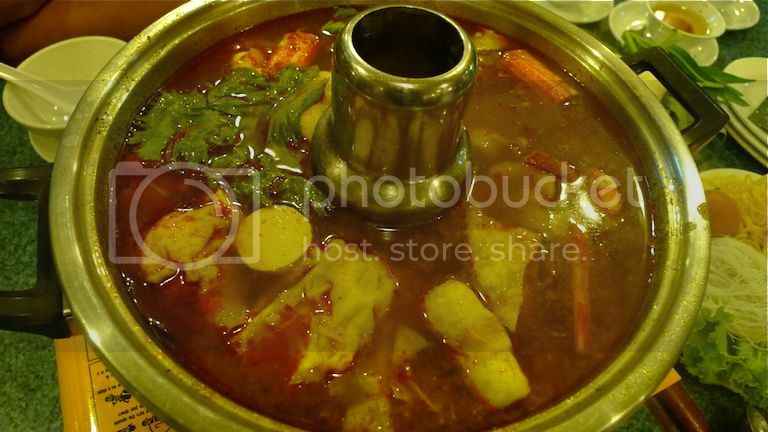 It is owned by Tan Choo Bee, who had won various awards from state and national level of cooking competitions. Oh! She was even featured in The Star online - read it HERE. 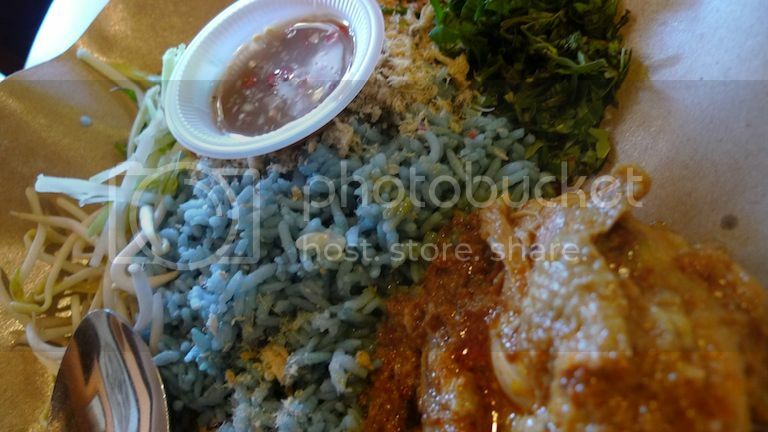 I tried the restaurant's Nasi Kerabu. It was delicious! 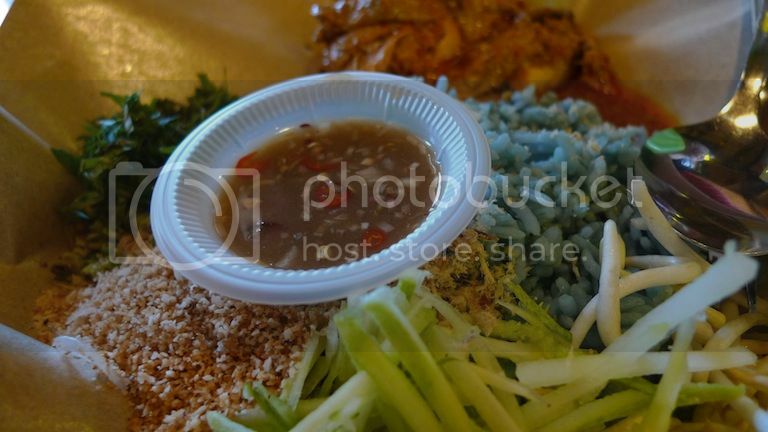 I think Jam and his friend had this one - not sure what you call it - basically rice with chicken and egg. 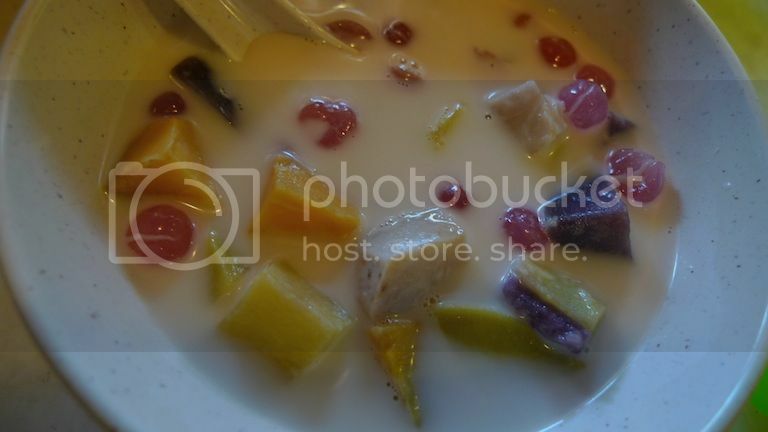 For desserts, we had bubur cha cha. It was yummy!! I could not remember how much we paid for our lunch but I think it was pretty reasonable. The restaurant was clean and comfortable too. Definitely worth another visit! After lunch, we walked back to our hotel for an afternoon nap. It was so hot outside we could not help feeling exhausted! Of course, our nap was not really enjoyable since the air conditioner in our room was not working properly! Damn! 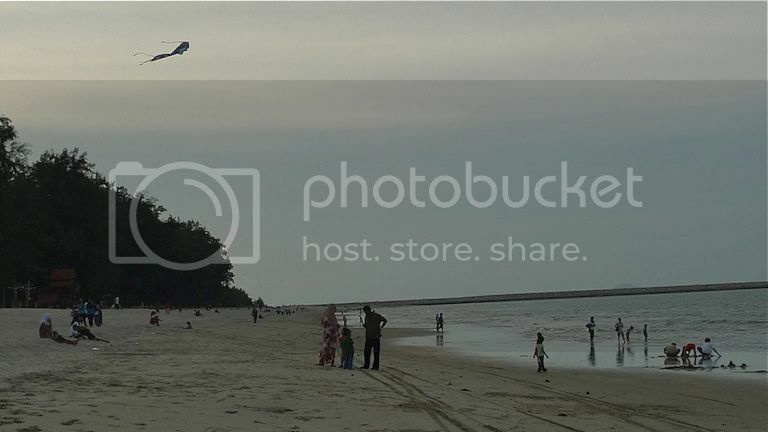 Later in the evening, we took a taxi to Batu Buruk Beach. After 3 days in Redang, do we still need to go to the beach? Haha! Well, there was nowhere else we could think of going! So to the beach we went! Of course the beach here was nothing compared to the fine white sands of Redang Island! We did not go for a swim (I think swimming is not allowed here due to the dangerous structure of the beach) but just strolled along the beach. There were many people flying kites and families having picnics. We also saw horse riding facility which is popular with the locals here. 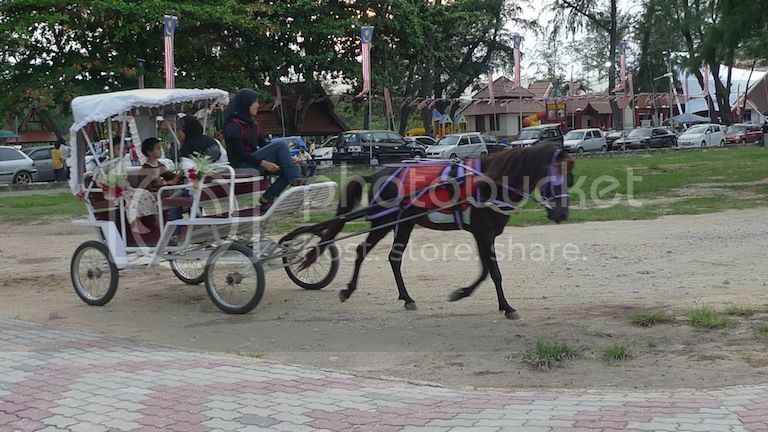 It's not really riding a horse, but sitting in a carriage driven by a horse. Soon, it was dinner time. We did not know where to eat, but stumbled upon the Batu Buruk Beach Resort nearby and decided to eat in the restaurant there! The place looked a bit old. Even the menu (picture above) looked old. Anyway, we went for their steamboat. I did not take much pictures - too busy eating. LOL! 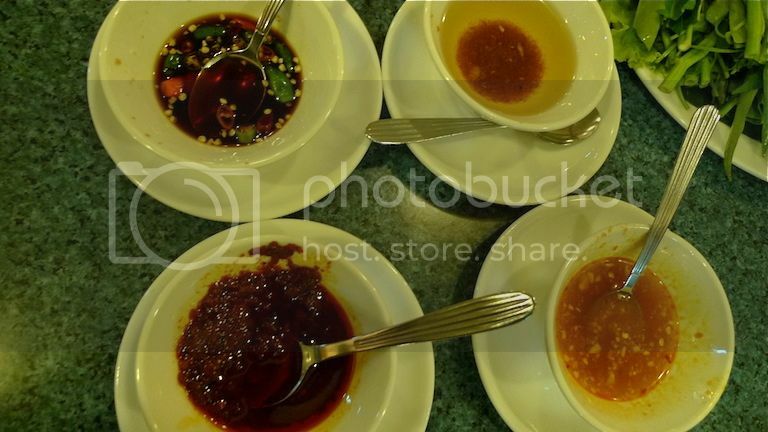 They have 4 different types of sauces to dip our boiled seafood into. I have definitely eaten better steamboats elsewhere, but I guess we were more or less satisfied with our dinner. There really are not many interesting places to visit in Kuala Terengganu, but if you ever go there, do not miss the Taman Tamadun Islam which features miniature mosques from all over the world. 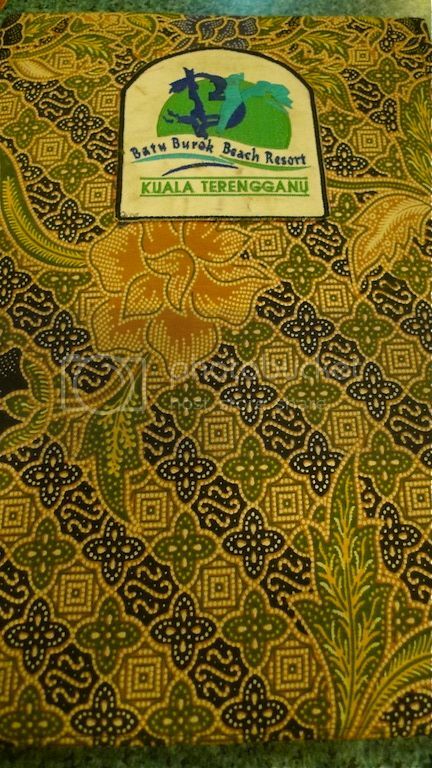 I did not go there during this trip as I already went there after my Lake Kenyir trip the year before. The next day, we checked out of the hotel and flew back to KL. It was my last travel trip with Jam. I had traveled with him to Guilin, China the year before and it was one of my most memorable trips. Hopefully, we will travel together again one day. This wraps up my Cambodia, Redang and Kuala Terengganu travels which were all done in a short span of 10 days. How I miss my holidays!